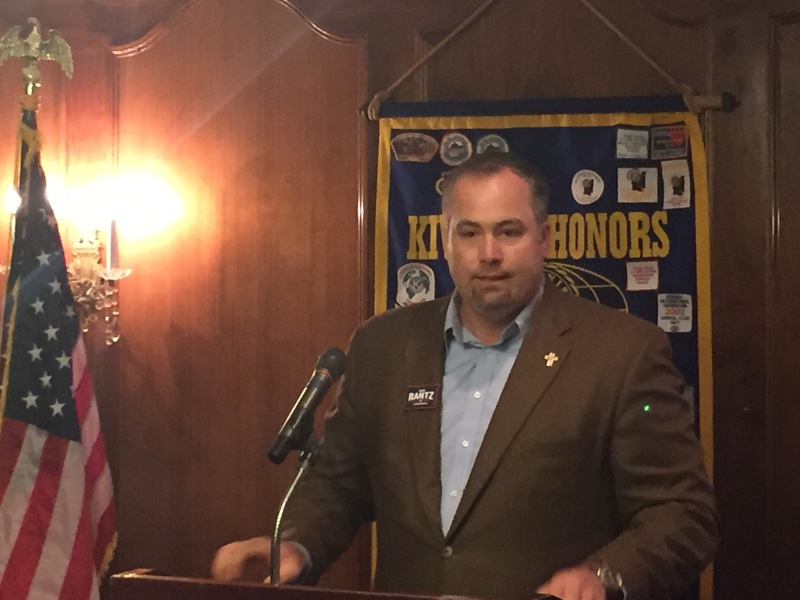 Kiwanis of Lafayette thanks Gus Rantz, President of Acadiana Management Group, and candidate for U.S. House of Representatives, for speaking to us today. Mr. Rantz spoke of his background in healthcare and law and his desire to address the problems associated with a growing federal government. Mr. Rantz spoke specifically about the problems with big government and his belief that state governments should have more active role in oversight. As his background is in healthcare, he focused specifically on an example of pending federal regulations that seemingly do not assist in patient care but lead to additional paperwork for providers. Thank you to Gus Rantz for speaking to us today. It is the policy of Kiwanis of Lafayette not to endorse any individual candidate, but to provide both members and the public with information to make their own decisions which is consistent with our Fourth Object: "To develop by precept and example, a more intelligent, aggressive, and serviceable citizenship."